Google Forms is seriously my new best friend. We switched to 1:1 iPads this year and I have found two ways to use Google Forms that are very helpful to me in doing my job. I hope these descriptions might help you find a new way to use them. 1) COUNTING BALLOTS - One of my jobs is to coordinate all the all-school elections we have…for example, Homecoming Queen, Student Council Elections, Class Officer Elections, etc. Over the years that I have done this job, we have gone from paper balloting (which was seriously horrible as I had to count the ballots BY HAND), to using a scantron machine, to now using GOOGLE FORMS! Previously, there was always some type of complaining afterwards…ugh it was NOT A FUN TIME! Using Google forms allows me to quickly create a ballot, email the link the the appropriate students, and then collect the results. Easy Peasy. There can't be any complaining because the computer counted the ballots. Not to mention this is a huge money savings as those Scantron Ballots are super expensive. 2) IMMEDIATE FEEDBACK - Using Google Forms allows me to give my students a quick question, have them fill out a form and get an immediate response. (There are other apps that do this too - see my post on Socrative for example.) The best part about Google Forms is that there is an add on app (FREE :) that lets Google grade the question(s) for you. (It is called Flubaroo). Not only that, but it gives you the option to email the students the correct answers to your questions. Seriously a time saver! One of my major hesitations to using google forms previously was that I couldn't type mathematical notation into a google form easily. I have two ways that I can work around this. 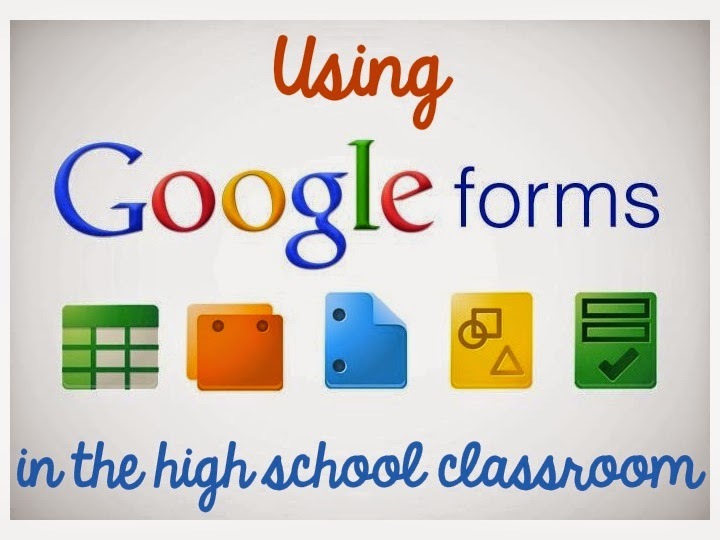 A) Still give the students the questions on paper and just have them enter the answers into google forms. B) You can insert a picture into google forms. This is handy when you want the students to see the problem online. It is most helpful when the answers are still numbers that the students can type in, or you can take a picture of the answer choices too. Teachers Pay Teachers Appreciates Teachers! Starting tomorrow May 5th and continuing through May 6th, TPT is having a HUGE SALE! Many teachers are having their stores on sale for up to 20% off and you can get an additional 10% off if you use the code ThankYou.